SHOUT! 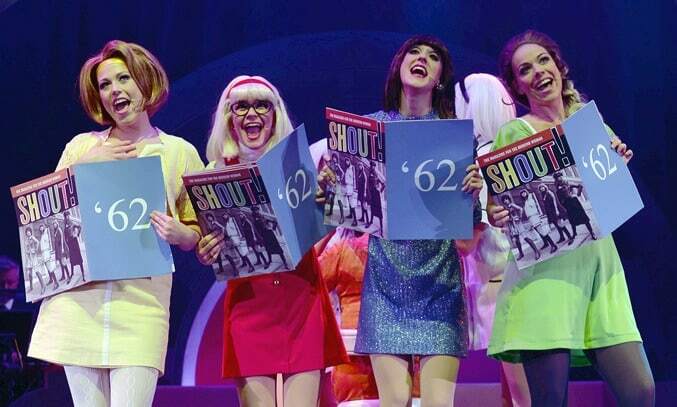 THE MOD MUSICAL tells the story of five groovy girls as they come-of-age during the liberating 1960s when women started to gain independence in England. The show features a packed soundtrack of some of the biggest hits from the sixties including SHOUT!, SON OF A PREACHER MAN, DOWNTOWN, THESE BOOTS ARE MADE FOR WALKING and WISHIN’ AND HOPIN’. SHOUT! THE MOD MUSICAL flips through the years through a musical magazine as the all female cast tell SHOUT magazine their problems and woes as they experience love, life and heartbreak. There’s real humour to the show as the advice columnist gives patronising and sexist advice to the five girls, including a particularly funny scene in which Suzanne Shaw as Red Girl hilariously acts out the side effects of the contraceptive pill. The former HEAR’SAY member adds real humour to the show as her geeky and clumsy character hopelessly tries to keep up with the rest of the girls. Amelia Lily shines as Yellow Girl, delivering a stunning performance of SON OF A PREACHER MAN that is sure to give you goosebumps. Her character’s love for Paul McCartney is likely to relate to many women growing up in the sixties, her obsession resulting in her looking through his bin to steal his comb. Helena Blackman also captivates the audience as Blue Girl as she sings in the aisles flirting with the men and wrapping her scarf around their necks. But the real star of the show is Niki Evans as Orange Girl. While all of the female cast have powerful voices, Evans’ vocals are the strongest by far and her rendition of WISHIN’ AND HOPIN’ has the audience clapping and singing along, with the backing dancers really bring the stage to life. Whilst the costumes are fun, bright and quirky and really capture the essence of the swinging sixties, the minimalistic set could do with a little more inspiration. The staging is very simple with a live five piece band on one side and bedroom with a lamp on the other. The minimalistic design remains throughout the whole show and apart from a few extra props, such as a perm machine for the hairdressers and coloured washing machines for the launderette, the audience have to rely on the cast, sound effects and our imagination to take us to the other locations. For the most part, it works but a few more set changes would have brought this swinging musical to life even more. That said, SHOUT! 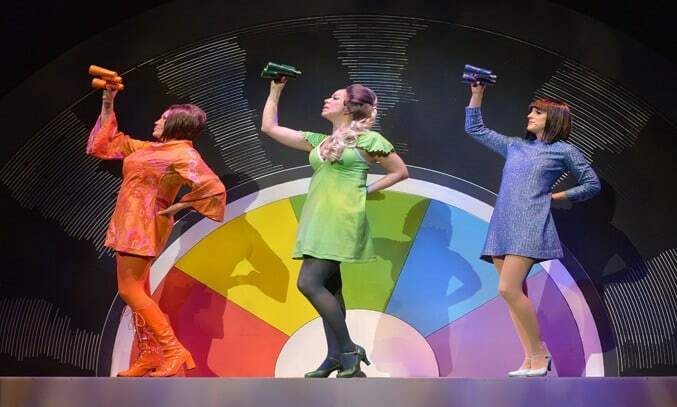 THE MOD MUSICAL is a fun and lively musical and the show has a lot of laugh-out-loud moments. The small but talented cast play their characters well and by the end of the performance, you really feel like you know each of them. We experience their highs, lows and experiments as they grow up, laugh, cry and have ridiculous outbursts. For a fun outing with the girls, look no further than SHOUT! THE MOD MUSICAL. Marie is a freelance writer and television producer from Blackppol. Marie enjoys music gigs, theatre trips, cars and travelling.